The category ‘Import procedures’ in this web blog provides basic idea about formalities and procedures to import different materials from other country. These details are given to enlighten you on general tips to import goods from overseas countries applicable for almost all countries worldwide. Once after reading these posts about import procedures and import customs clearance procedures, you will have a base idea about the procedures and formalities on how to import various products from foreign countries. However, you may contact respective offices of importing country to know more about the complete procedures and formalities applicable for each country, as the import formalities of each country may have specific requirements based on their foreign trade policy. 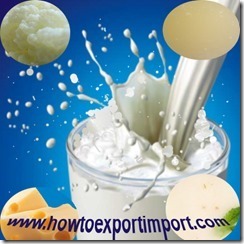 This post provides basic information on how to import Milk, Cream,Buttermilk,Curdled Milk, Yogurt, Kephir, Whey, Diary spreads, Cheese,Curd etc. Apart from regular procedures and documentation, special requirements to import Milk and milk products are explained in this article. The exporters and importers may follow specific requirements of each importing country to import live animals from foreign country. When discussing about the procedures to import Milk and Diary Products from other country, the basic slogan must be kept in mind – “ Any import of Milk and Diary Products does not adversely affect the human and animal health population of the country”. So almost all restrictions, ban, procedures and formalities are based on this slogan. How to import Milk and Diary Products? Some of the examples of Milk and Diary Products are Milk, Cream,Buttermilk,Curdled Milk, Yogurt,Kephir,Whey, Diary spreads, Cheese,Curd etc. Some of the Milk and Diary Products are banned by most of the countries. The import of milk and milk products from some of the countries are prohibited by most of the countries due to health and sanitary threat for human and animal. However, some countries restricts import of milk and milk products subjected to obtain various certificates from various government agencies of importing countries. Now, let us discuss about the common requirements to import Milk and Diary Products. What are the special requirements to import milk and milk products? Different countries have their own requirements to import Milk and Diary Products. In US, apart from regular US government agencies, Department of Animal and Plant Health Inspection and Food and Drug Administration (FDA) also responsible for import of milk,cream ice cream butter and cheeses. One of the common requirements to import most of the items under Milk and Diary Products is Sanitary import permit issued by health department of respective importing country. As I have mentioned above, the human and animal health population of the country should not adversely be effected by import of Milk and milk products from foreign countries. The import permit should contain complete details of import like name and address of exporter, importer, description of goods,quantity,value, origin details, list of ingredients, species of animals it was derived from, and identification marks etc. The full details of inspecting authority of exporting country need to be mentioned clearly with stamp of licensing authority. In Canada, If Import permit is not obtained by importer for diary products, import for personal use can be allowed on higher rate of import tariff subjected to a limited quantity. However, if Cheese is imported, the importer should obtain a valid Cheese import license issued by CFIA. CBSA (Canada Border Services Agency) is also responsible to regulate finished diary products such as cheese cake etc. In new Zealand, it is the importers responsibility to obtain biosecurity clearance certificate or Zoo sanitary certification or both to ensure that they are compliant with the current relevant import health standard at the time of importation. The European Union Agreement representing more than 25 countries in Europe allows import of different products each other to their member countries as per agreed safety regulations. This agreement includes about animal health problems affecting intra-Community trade in bovine animals and swine, sanitary measures applicable to trade in live animals and animal products, animal health rules governing the production, processing, distribution and introduction of products of animal origin for human consumption, microbiological criteria for foodstuffs,the hygiene of foodstuffs and all relevant implementing legislation, specific hygiene rules for food of animal origin and all relevant implementing legislation, specific rules for the organization of official controls on products of animal origin intended for human consumption. The government officials of importing country assesses the level of risk in importing milk and milk products. If the level is acceptable, the importer is given a Veterinary import permit. Necessary Certificate from Vet nary office or , Animal Husbandry Authority is required to be submitted along with other required documents to import most of the items under Milk and Diary Products in most of the countries. Food safety certificate need to be enclosed along with shipping documents by exporter, confirming health measures. In US, USDA's Food Safety and Inspection Service (FSIS), in India, Food Safety and Standard Authority of India (FSSAI) are the licensing authority to issue such Food safety Certificate to import Milk and Diary Products. The food safety authorities of respective importing country verifies certificate issued by exporting countries, in turn arranges re inspection at the time of import port of entry to ensure that foreign countries have maintained equivalent inspection systems. However, if the government agencies of importing country satisfies on the quality inspection system of exporting country, some importing countries accept such system and allows import by issuing necessary certificates, unless otherwise emergency sanitary measure is implemented. In some of the importing countries like US, such certificate issued by inspection authorities of exporting country should be clearly certified as the product is fit to export and meets all requirements of importing country. Import of Milk and Diary Products could be either for personal purpose or for trading. The procedures and process to import Milk and Diary Products for trading requires more documentation and formalities. 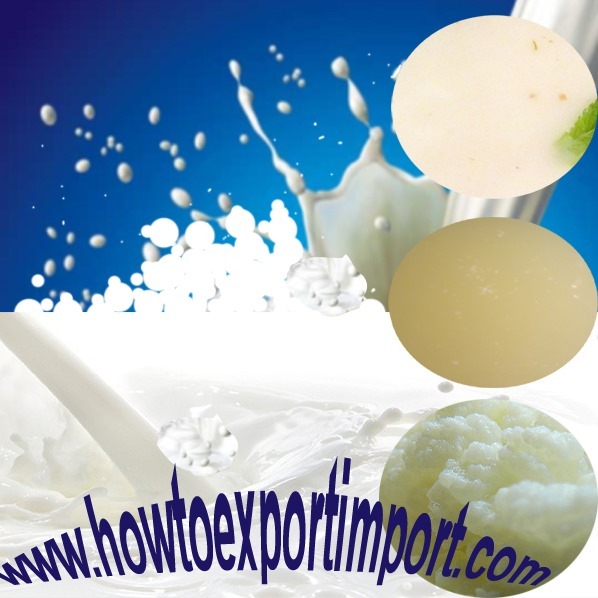 Each government of importing country has a detailed requirements data available to guide importers of Milk and Diary Products, if not prohibited, as most of the countries restrict import of Milk and Diary Products due to various reasons effect the health of human and animal of importing country. The trade division in department of animal husbandry and dairying will analyze the information contained in the application with reference to the risk posed by the import on the health of the animal and human population of the country. Origin of Milk and Diary Products importing? The government agencies of importing countries are very keen in checking the origin of Milk and Diary Products being imported to confirm the health condition. Some of the countries are identified as threat countries in exporting milk and milk products. The diseases like influenza, flu and other communicable diseases are to be closely monitored when importing Milk and Diary Products. Country and locality where the milk and milk products were produced and the country from which shipment took place is keenly verified by the authorities of importing country to confirm the health measures of human and animal of importing country. Labeling requirements guideline by respective government agencies of importing country need to be followed. Each country has specimen format of labeling with complete details of milk or milk products. In most of the importing countries, Food and Health department named differently in each country is responsible to regulate and monitor labeling requirements on importation of milk and milk products. If violating any rules of importing country, most of the government of importing countries have the right to penalize the importer, if such Milk and Diary Products are not returned to exporting country or destroyed by following all necessary health measures of importing country. In this article, the documentation, process and formalities to import Milk and Diary Products Milk, Cream,Buttermilk,Curdled Milk, Yogurt,Kephir,Whey, Diary spreads, Cheese,Curd etc. are explained. As explained above, these information is generally applicable for almost all countries importing Milk and Diary Products. 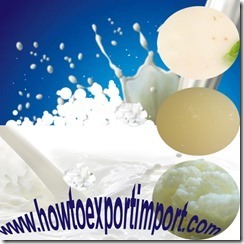 These details on how to import Milk and Diary Products are given to provide a basic idea to bring Milk and Diary Products from foreign country. Specific requirements of each importing country need to be followed by importers and exporters of Milk and Diary Products. I hope, the above information helps you in gaining basic knowledge on documentation,procedures and formalities in importation of Milk and Diary Products Milk, Cream,Buttermilk,Curdled Milk, Yogurt,Kephir,Whey, Diary spreads, Cheese,Curd etc. Would you like to comment your thoughts on this article about importation of Milk and Diary Products? Share below your experience in importing Milk and Diary Products from overseas country. Abhishek Singhal : On 03 July 2015 Sir I am new in Import Export Market. Sir i want to export Paneer(Cheese) and other Milk Products. Sir Can you Please tell me about what are the required documents to export paneer from India. Madhu B: On 13 October 2015 My name is Madhu B, I am from Bangalore. I am a regular reader of your website and I find it very useful for my business. Its upto date and has lot of data on export and imports. I had a query which I wanted to clarify it with you. I recently applied for and received the IEC code, I am actually looking at exporting milk powder to South East Asian Countries. As I am aware that milk powder falls under the merchandise export category, do i need to obtain any specific licenses for exporting this product Or will having the IEC code suffice? Request you to provide your inputs on this and also advise if there is any other factor that i need to take care of. sushil kumar: On 24 April 2016 we want to import milk powder.we have iec code & fssai registration. what are the required documents to import milk powder from U.S.
Dutta: On 03 May 2016 rules & regulation to import human milk to india, please do let me know. Deepak Bajaj: On 05 August 2016 I am struggling in finding buyers for the products I chose to export. Therefore I want to connect with you and understand more about it and open to explore other different products. Can you provide help. Prashant Singh : On 11 August 2016 My name is Prashant Singh, originally from Bihar but currently living in USA. My father is a fisher man and we own many ponds in our village. He is interested in exporting fishes to USA. I known the food materials need to follow the FDA regulation here but I don’t know much of our side (india) formalities. So I searched on internet and read many of your articles. Could you help me to understand all the requirement and processes? If yes, then I just want to know how would you help us. Ashu Garg: On 13 August 2016 As we are into imports exports of food trade, we need assistance to obtain license for imports of Dairy products & Rice, country of imports is Italy. Please let us know the Govt.fee + your professional charges & time taken after the submission of documents to relevant deptt. Manthan Chovatiya: On 26 November 2016 As we are into imports exports of food trade, we need assistance to obtain license for imports of Dairy products. Please let us know the Govt.fee + your professional charges & time taken after the submission of documents to relevant deptt. Kunal: On 22 April 2017 As we are into imports exports of food trade, we need assistance to obtain license for imports of Dairy products. Please let us know the Govt.fee + your professional charges & time taken after the submission of documents to relevant deptt. Ketan Meshram : On 22 April 2017 We are starting a new export company for food product , I have not seen dairy products in the list you have stated in your website, at initial we are planned to export two products, cottage cheese & Desi Ghee. We have done joint venture with a local dairy product manufacturer it is a midsize company with a good size of local distribution. Can you please help us the entire step-wise process for a start-up company like ours. Which includes how to find customers in USA, Australia, New Zealand, UK etc..
Ketan Meshram: On 13 June 2017 I am Ketan Meshram from Pune Maharashtra, I have got your reference from your website, i must say your website is helpful for strat-up exporters / importers. We are starting a new export company for food product , I have not seen dairy products in the list you have stated in your website, at initial we are planned to export two products, cottage cheese & Desi Ghee. We have done joint venture with a local dairy product manufacturer it is a midsize company with a good size of local distribution. Can you please help us the entire step-wise process for a start-up company like ours. Which includes how to find customers in USA, Australia, New Zealand, UK etc..